A beautiful diner was adding another location in West Orange, New Jersey. As per local codes they needed to add railings for all protection from stairs, walkways and ramps. With the design being inspired by Biltmore mansion in North Carolina, they wanted a look of elegant craftsmanship. 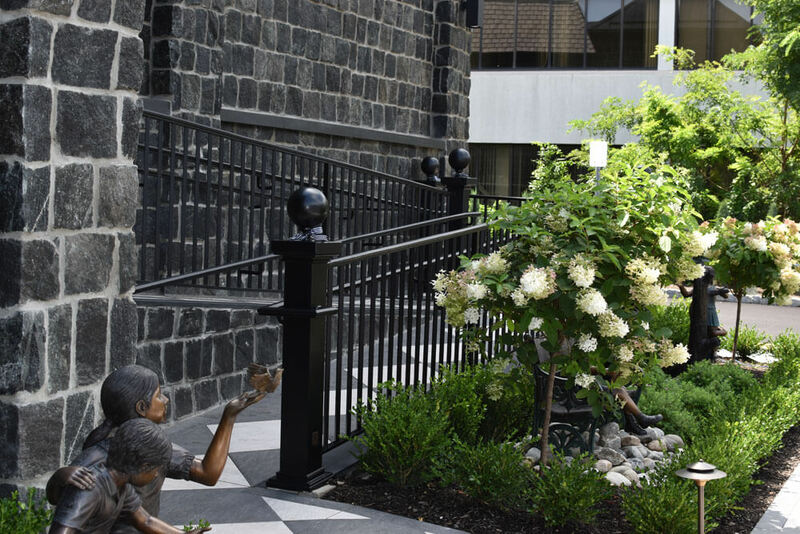 Pulling design elements from the beautiful “Wrought Iron” fence at the cliff, we incorporated 7/8” sq pickets turned on the diamond and tailored the design of the beautiful fence posts to fit the stair railing requirements. Also, the client liked the visual of a custom forged cap-rail, it added character and authenticity to the railing design that complimented the character of the prestigious diner. In the rear of the diner, structural posts were needed to support a roof over hang at the door. An additional challenge was added when the original builder failed to have the rear egress steps wide enough to meet code between handrails. With innovative thinking the stair railing design was engineered and designed to accommodate both issues. 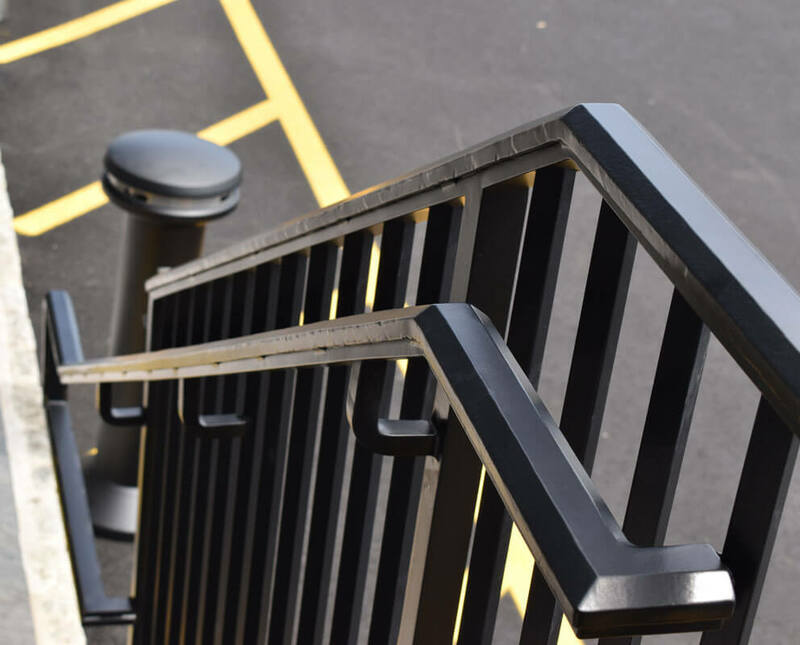 Completely created in an aircraft grade solid aluminum this commercial railing project is indistinguishable from Wrought Iron railing, yet will never have to worry about corrosion ever. This prestigious diner in the metro New York City area has made the news for community deeds, received top reviews for the best food, and gotten raves for their architectural vision. 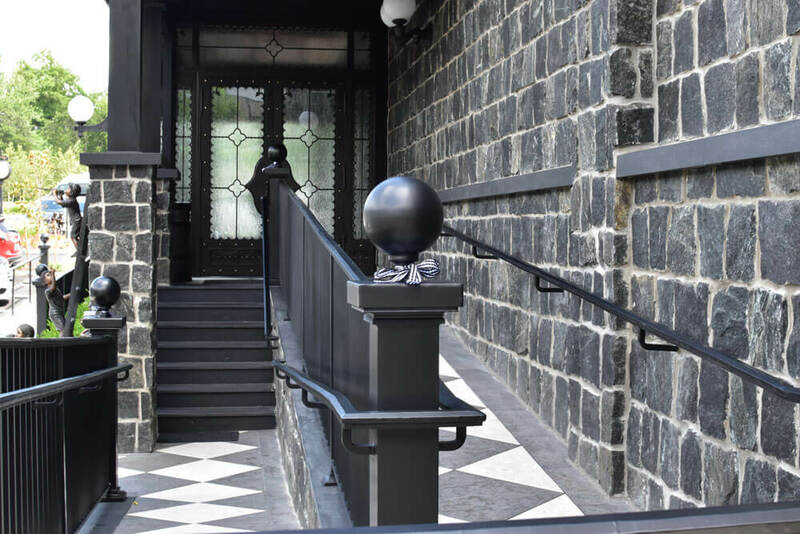 The inclusion of custom crafted metal stair railing and terrace railing compliments their vision and will be admired and appreciated by patrons at the diner for many, many years.